A thoughtfully conceived country house project in the lovely Pillersee Valley close to the Saalbach-Hinterglemm Skicircus. 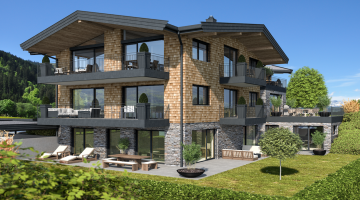 Magnificent location with superb views, high-quality materials and modern alpine design. Two idyllic ski chalets located in the Pillersee Valley on the outskirts of Fieberbrunn close to numerous skiing resorts of the Kitzbuehel Alps. Superbly equipped and tastefully decorated, these chalets provide the highest standards of alpine living. Great investment given the high quality build and potential of the area.